One of my favorite parks is Whitaker Ponds Nature Park. Ever since my first time there I knew it was a special place. 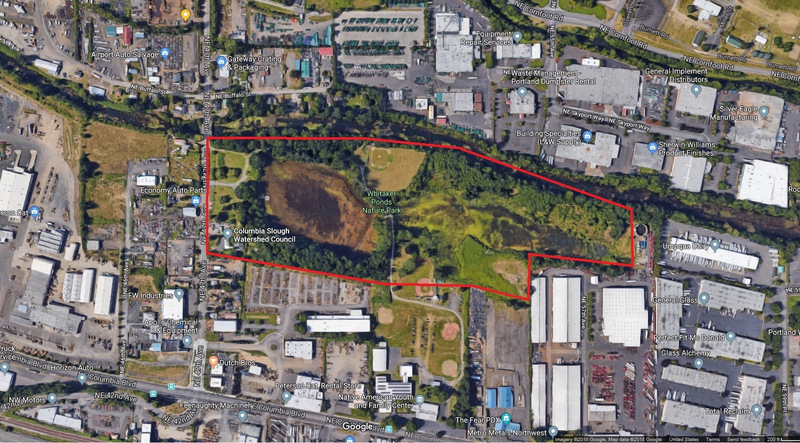 It’s a small (but productive) park at 24 acres with a 1/2-mile flat loop trail. 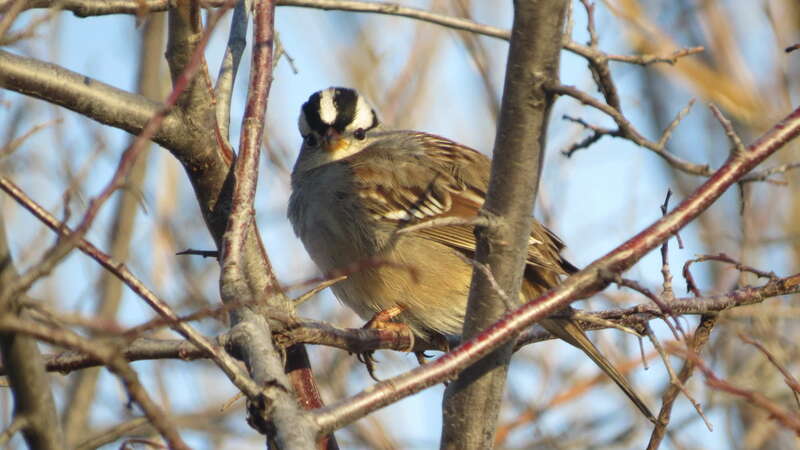 Completely surrounded by urban land, it is a mini-oasis for birds. And for myself. Here I saw my first Common Merganser, Red-winged Blackbird, Common Goldeneye, Hooded Merganser, Great Egret, and Anna’s Hummingbird. 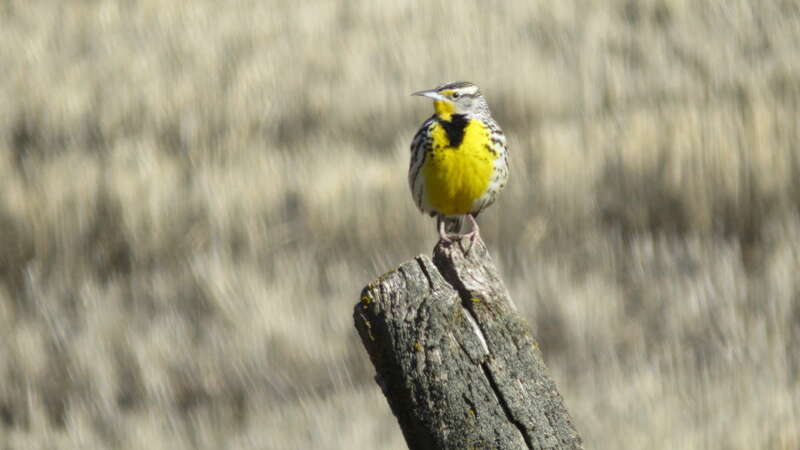 And later in the summer my first Western Tanager and Warbling Vireo. 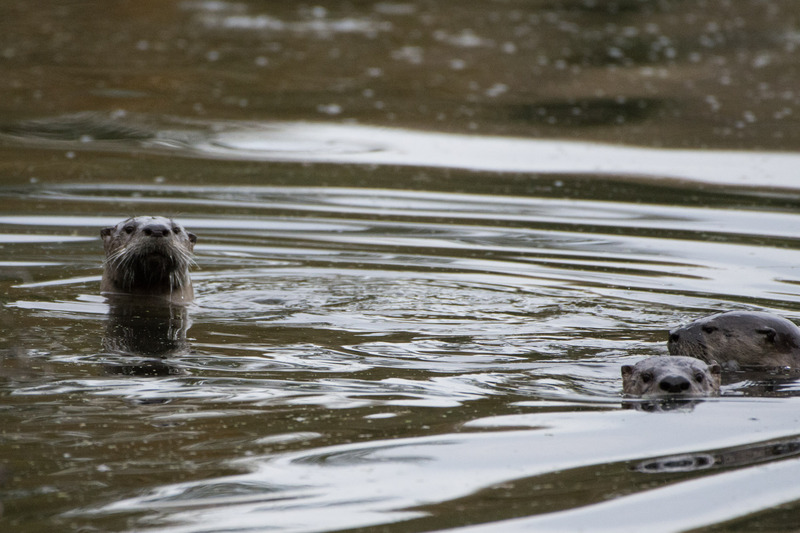 And I’ve once seen a family of river otters in the pond. Needless to say, I’m sentimental about the place. In the past year, it’s gone through some changes. 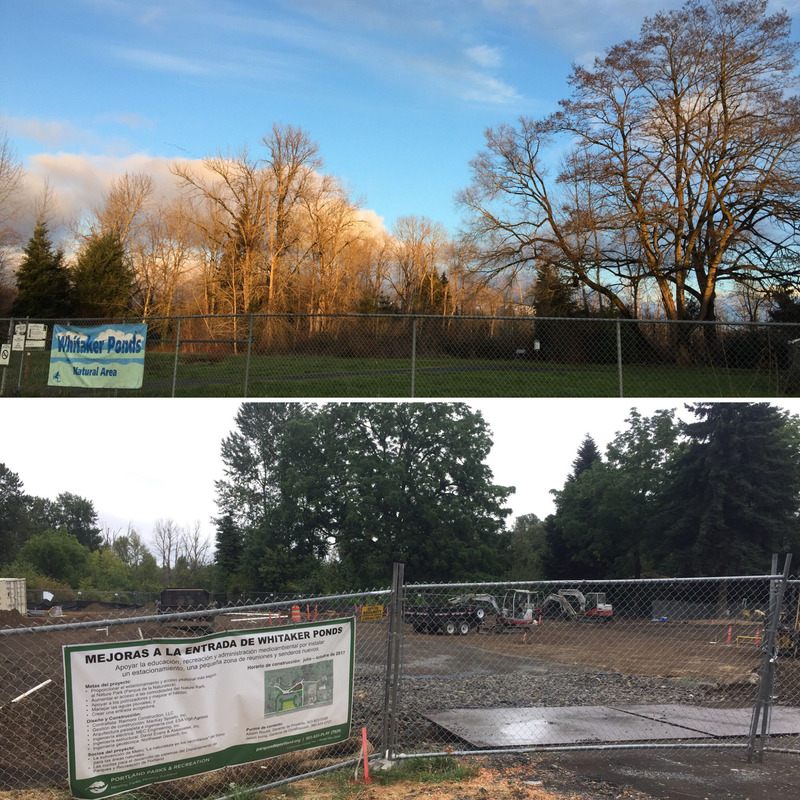 Where there once was a gorgeous willow tree and field now is a parking lot. I’m kicking myself for not taking more “before” photos, but I hadn’t known about the project until after it was gone. Danger Garden took one of the best photos of that willow tree I could find on the internet. Here’s a couple I took of the progress. 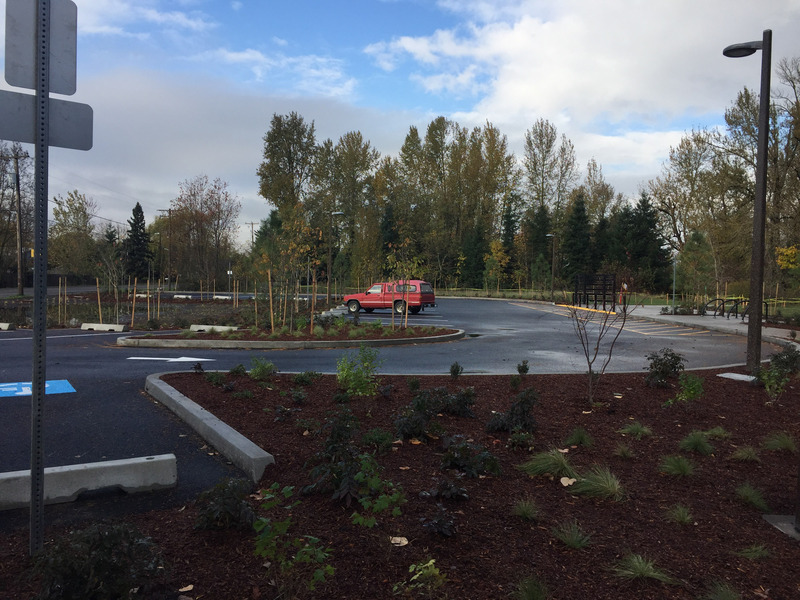 Of course there’s pros and cons, there’s better parking, which will make people feel more comfortable visiting, and hopefully then more people will care about the park. There’s still a problem of transients living and littering in certain forested areas, but in general it’s getting better. I’ve seen 87 species at Whitaker Ponds (it even gave me 40 species in my 5-mile radius). 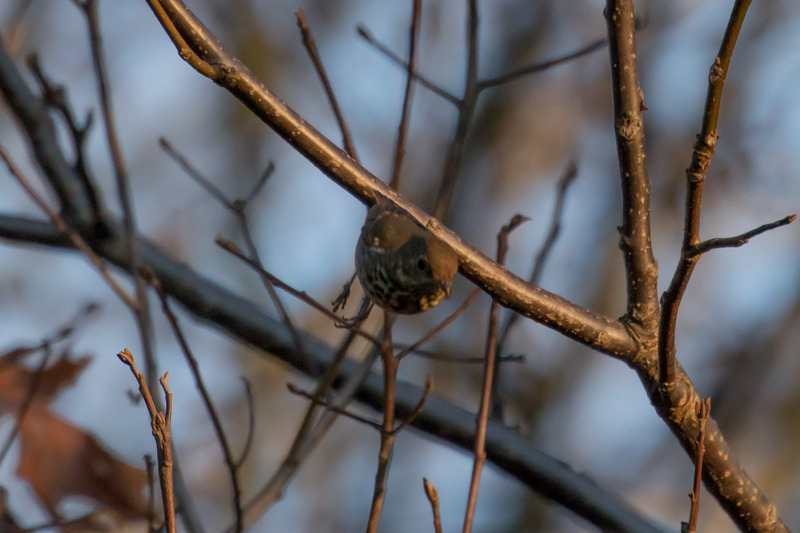 Most recent additions were a Hermit Thrush that surprised me before bulleting away as quick as it could. 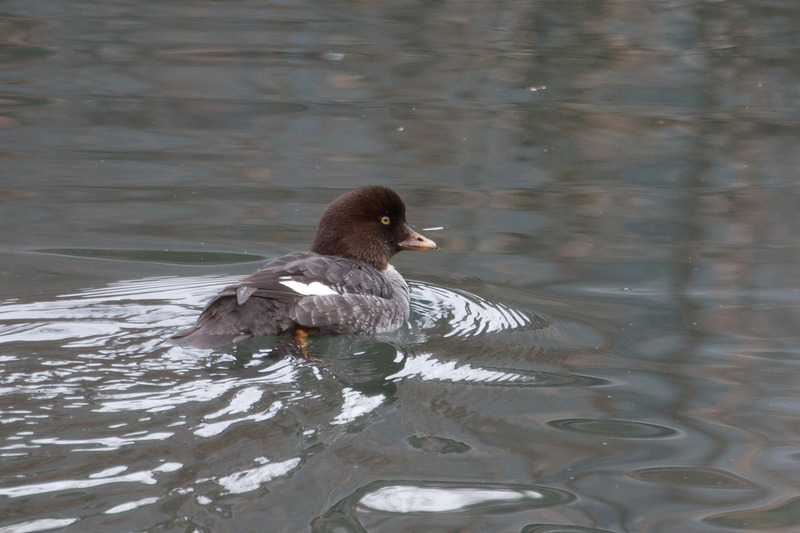 A Glaucous-winged Gull flyover (no photos), and a female Barrow’s Goldeneye (more yellow on that bill). Compared to the female Common Goldeneye below (more black bill with yellow tip) and male (right), also hanging in the slough. While observing the goldeneyes I heard an enticing “zu-wee, zu-wee, zu-wee” and I turned around to the best looks ever of a Hutton’s Vireo. 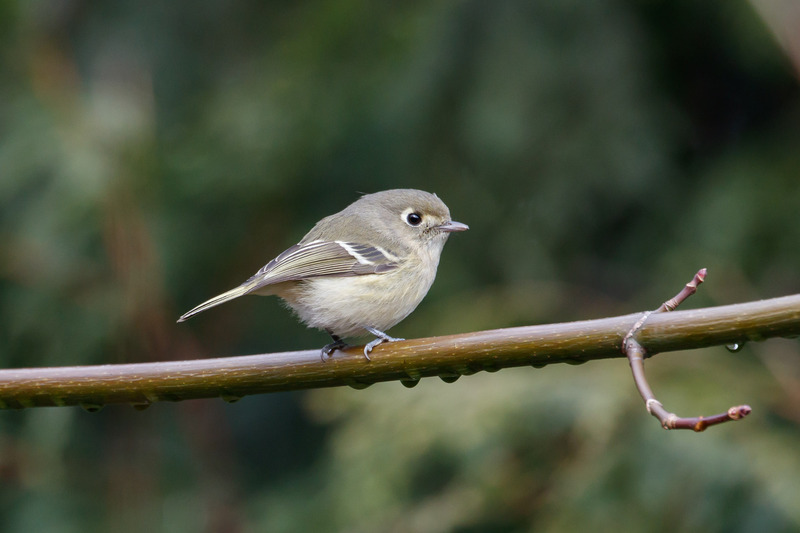 Thicker bill than Ruby-crowned Kinglet and gray feet (vs. yellow on RCKI). 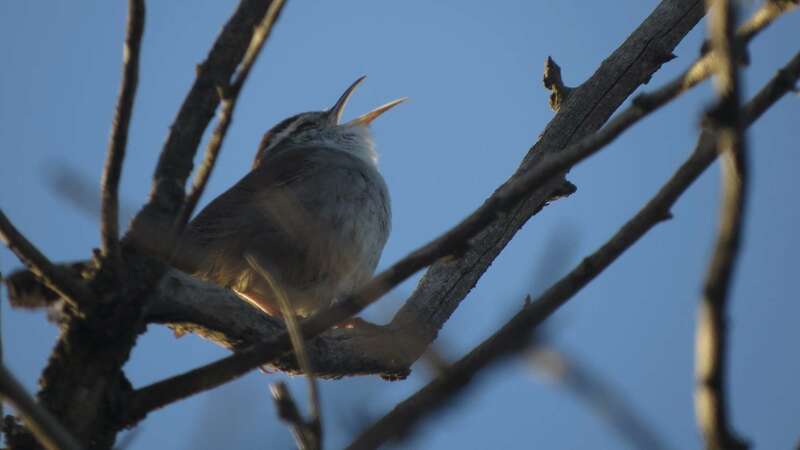 There were two singing back and forth. 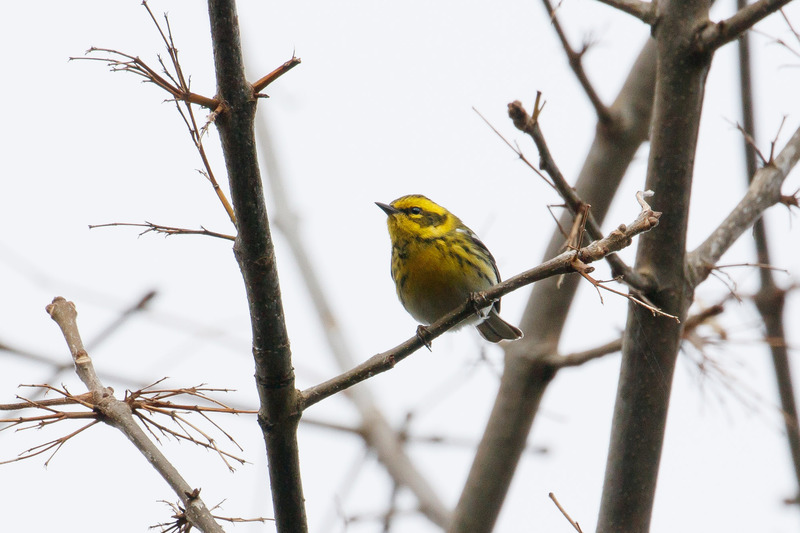 Along with endless Yellow-rumped Warblers, and Townsend’s Warblers. 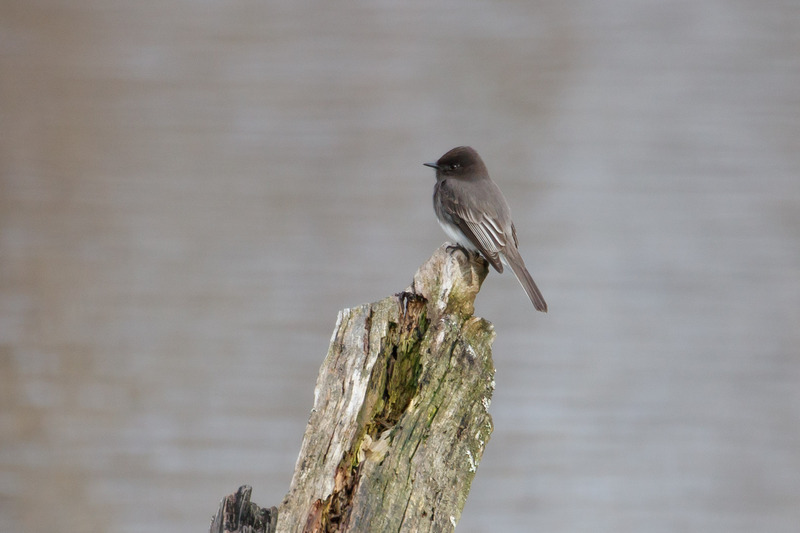 Also on this trip I saw the reliable Black Phoebe. 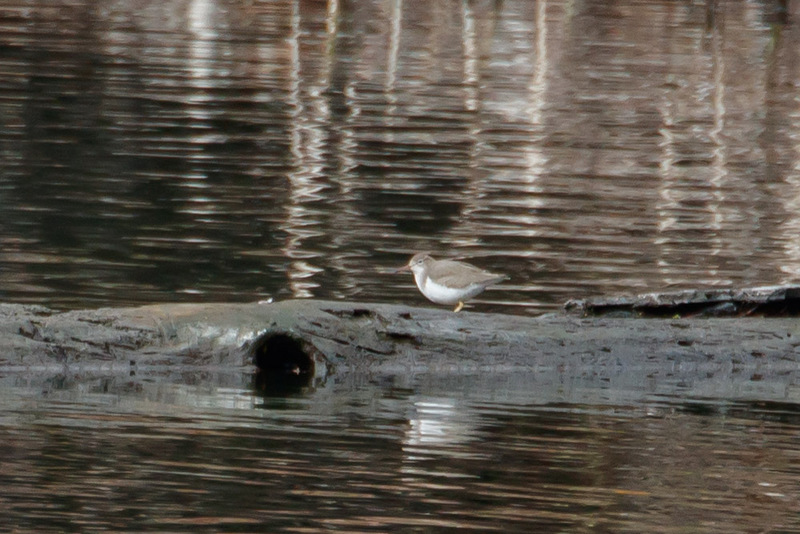 And I got a quick glimpse of a Spotted Sandpiper. 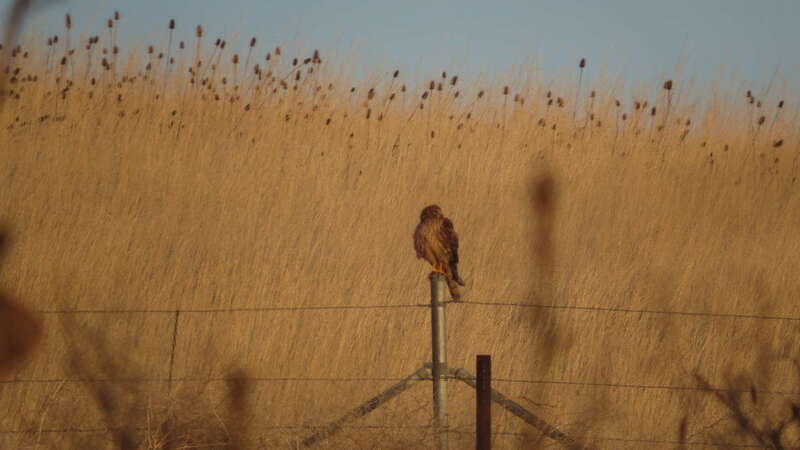 Just before I spooked a Cooper’s Hawk. This park is full of surprises. 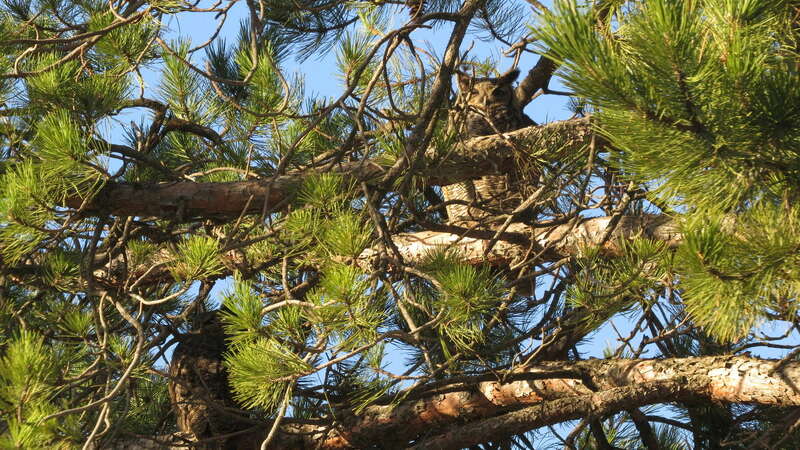 Even sneaky Great Horned Owls. I wish I could visit every day. It’s less than a 10-minute drive from my house and now that the construction’s completed really I have no excuse. I’ll make a point to visit more often and make it a goal to find more species. 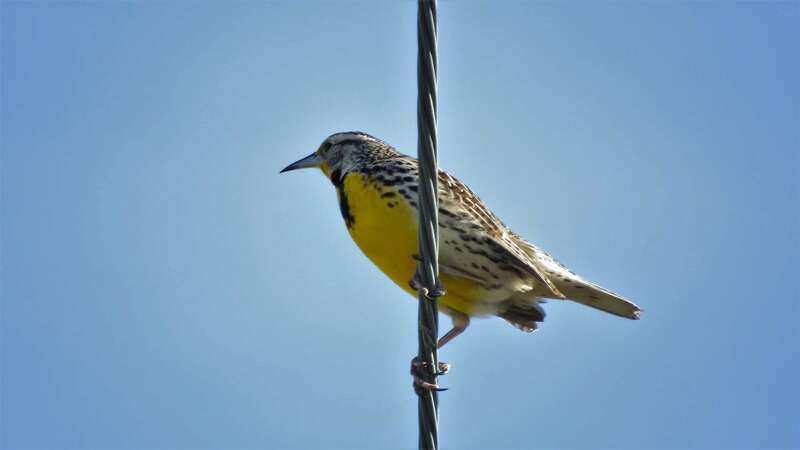 I was going to say 100 (since I’m at 87), but that might be a stretch since the top eBirder at the park (Nick Mrvelj) has 97. But we’ll see! The trail system is fantastic. 20 miles wind through 600 acres of woodlands and meadows surrounding the lake. The lake was set up by the US Army Corps of Engineers for flood control in the 1940s. 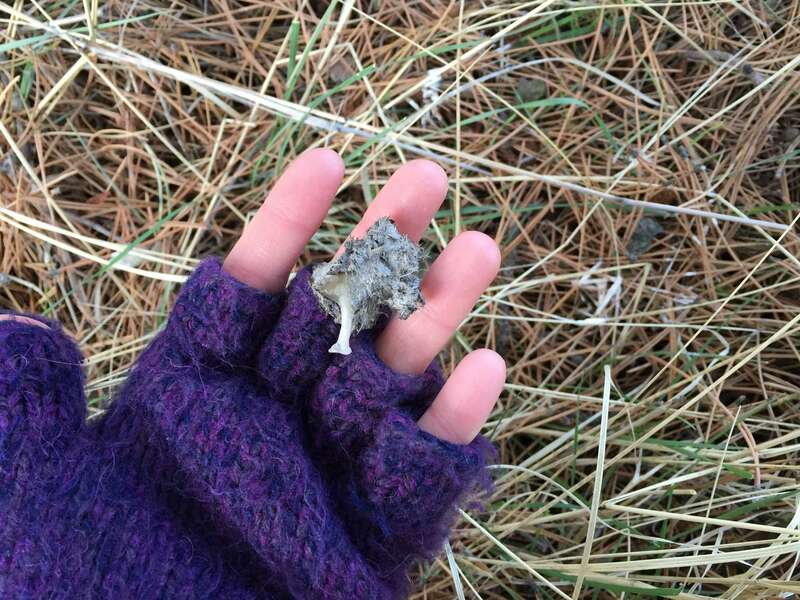 One section of trail is referred to as “owl alley” by local Audubon members because of the frequent owl sightings. I was hoping to find one or two. 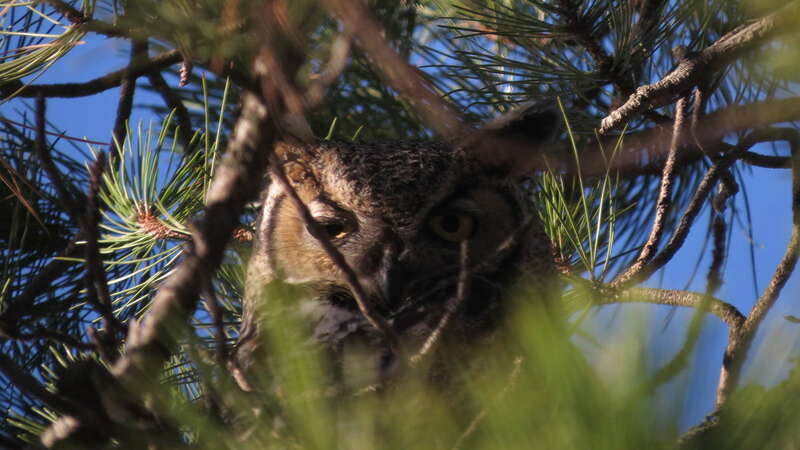 Upon researching, I learned long-eared owls nest in the park and there were recent ebird sightings, “one did not flush and sat nicely for great views!” I could only imagine. I saw Killdeer on the lake shore, and mergansers and geese on the lake. 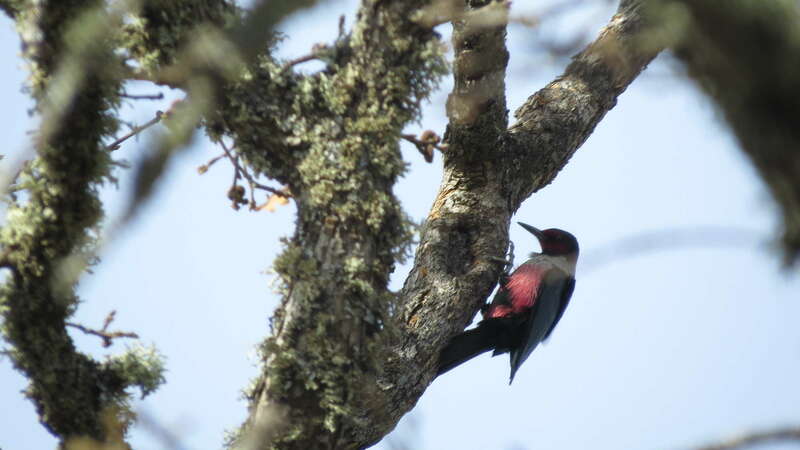 In the hardwood forests Downy Woodpeckers and Northern Flickers were busy collecting insects. 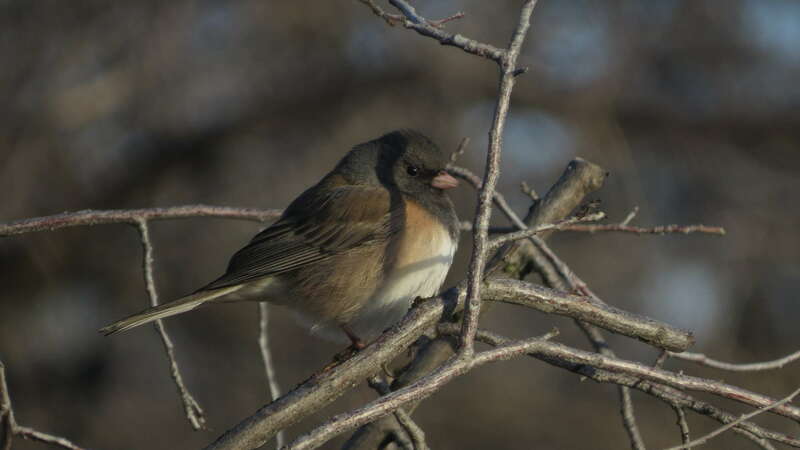 Dark-eyed Juncos, White-crowned Sparrow, and Bewick’s Wrens were singing their hearts out. Does this mean it’s spring already? 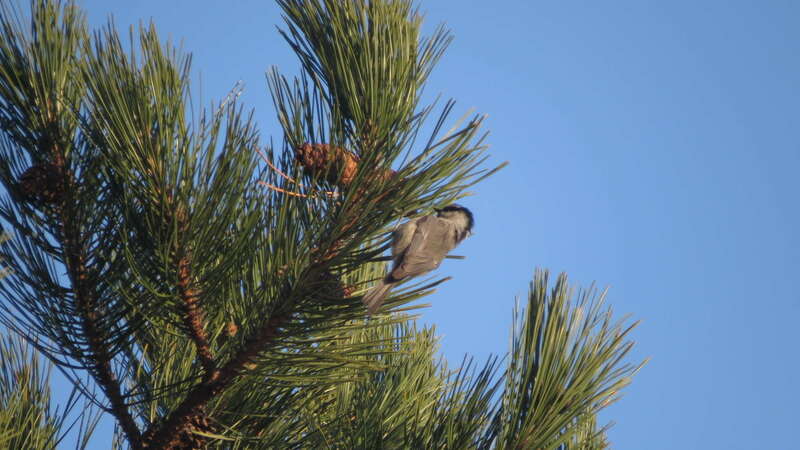 I saw the Mountain Chickadee sporting the white eye-stripe! 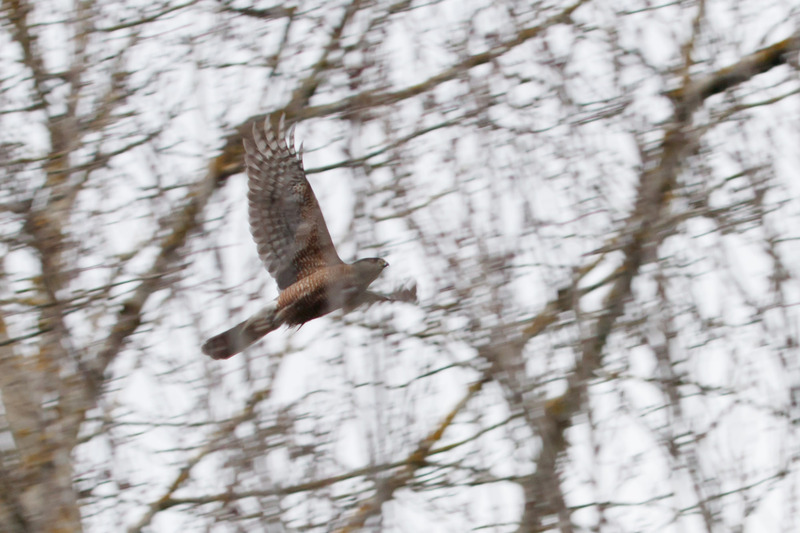 And the Northern Harrier hunting, as per usual. I found a row of pines that looked pretty owly. Sure enough, pellets, bones, and whitewash littered the ground. But, alas, no owls were home. Or if they were, they were invisible. That’s probably more like it. Still, it felt good to practice tracking skills. 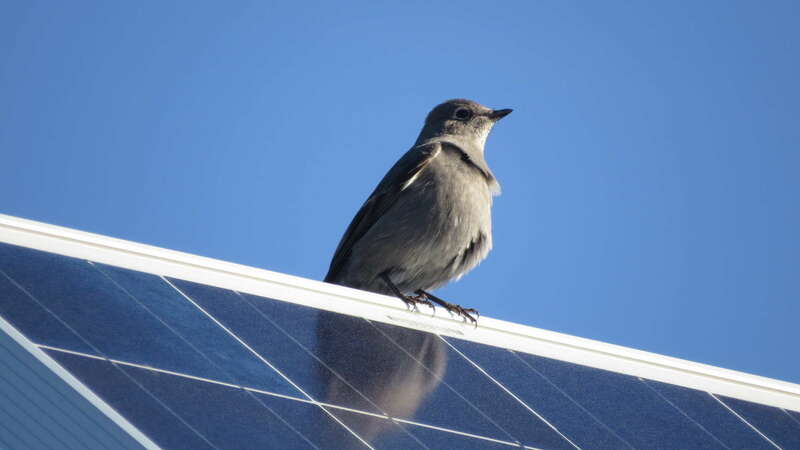 Upon leaving the park, I saw a Townsend’s Solitaire absorbing BTUs from a solar panel. 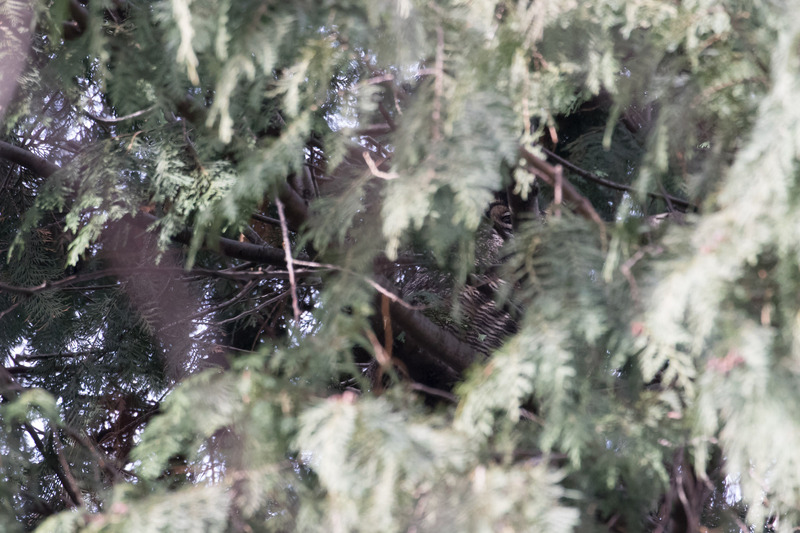 Then I heard a soft, faint hooting. 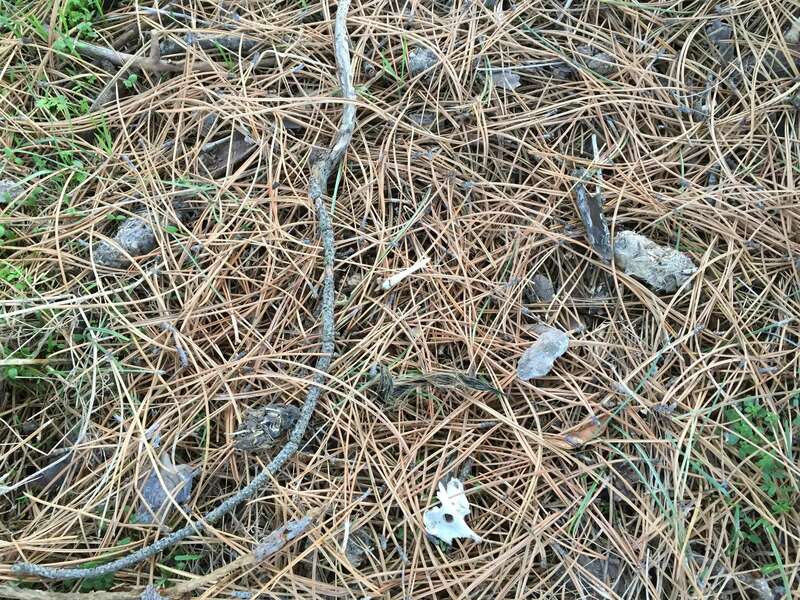 I was all over it and scoured the trees until I found them. Yeah! Two Great Horned Owls! (One in the lower left). These must be the two I heard earlier near the parking lot when I arrived. Good times at the lake. 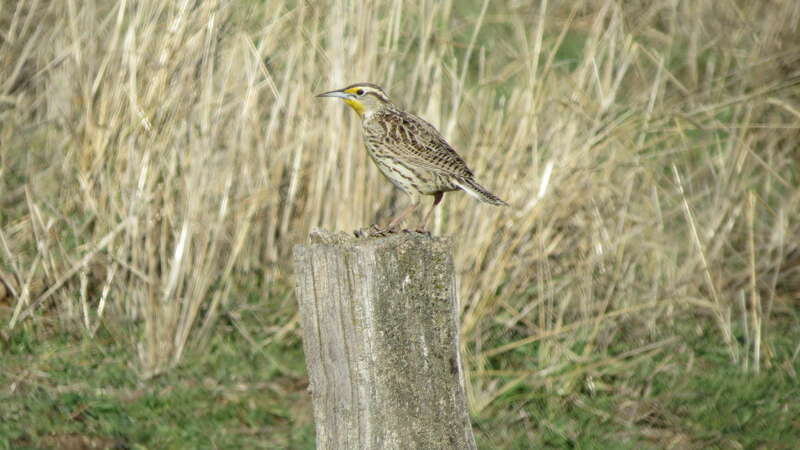 On the drive home I got some good looks of my other bird love (and last year’s obsession), the Western Meadowlark. 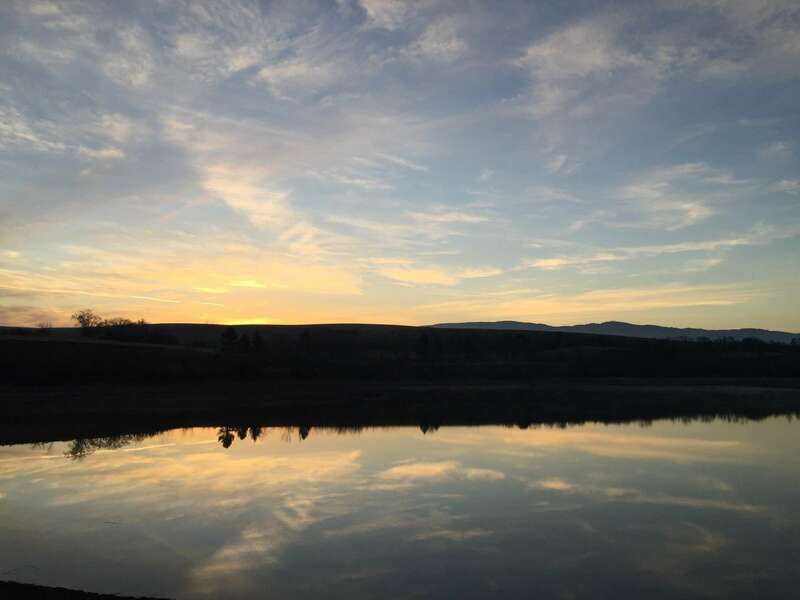 And just because, I made a quick stop at Balch Lake, past Lyle, Washington. 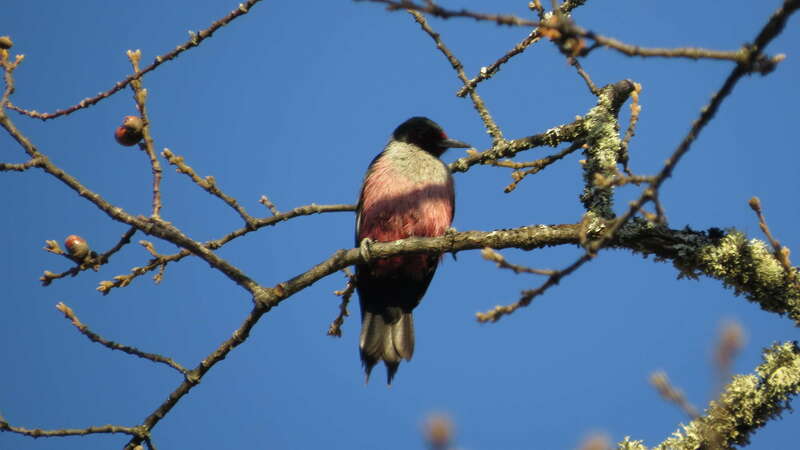 The lake provides habitat for the protected pond turtle, and is also home to dozens of Lewis’s Woodpeckers! These fellas are highly entertaining and I’d recommend checking out this site for some great looks. 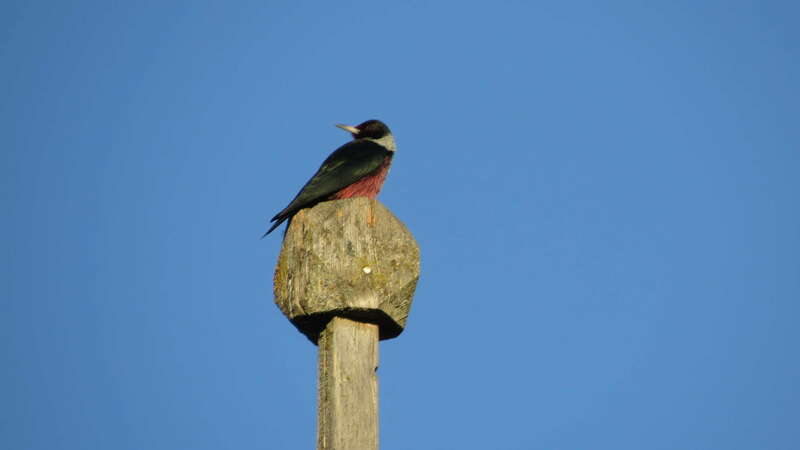 I’ve heard there is also an Acorn Woodpecker granary nearby, but I’ve yet to find it. Yet. I made a quick visit to Whitaker Ponds yesterday morning since it is so close to home. 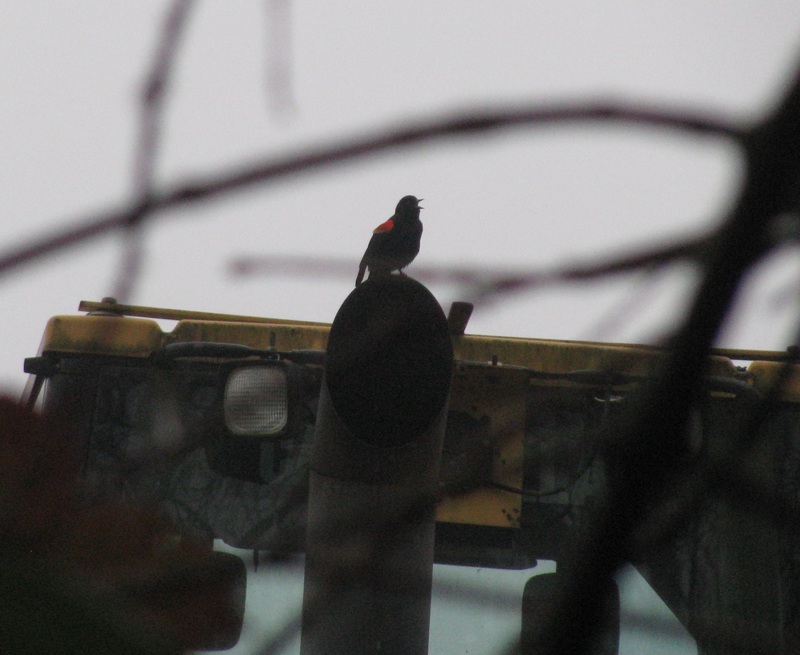 The park was foggy, but there were plenty of birds to see. These lovely ladies are Common Mergansers; large diving ducks with orange-red bills, chestnut-colored heads with a white chin and neck (which distinguishes them from the Red-breasted Merganser). Gadwall – I recognized this species from the Audubon outting! 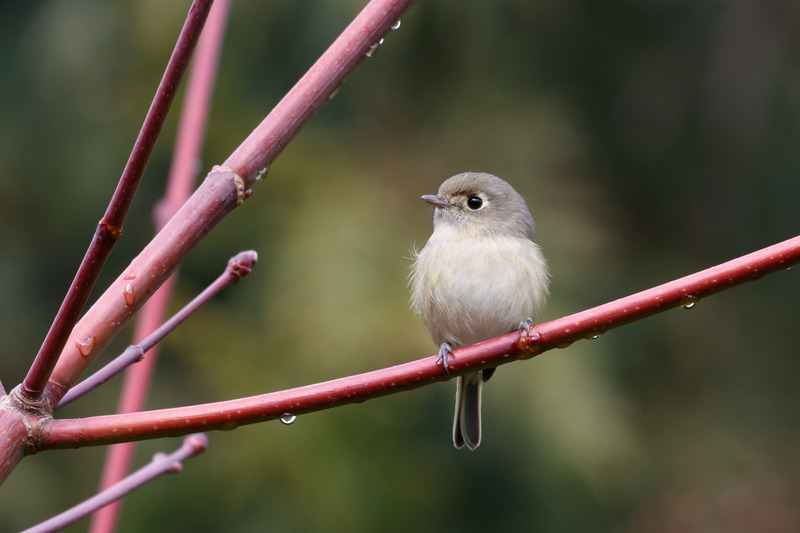 Golden-crowned Kinglet; look at that fiery head!